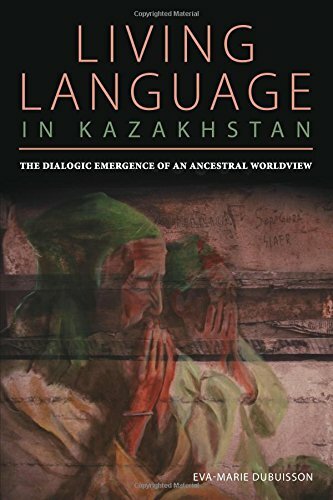 Eva-Marie Dubuisson provides a fascinating anthropological inquiry into the deeply ingrained presence of ancestors within the cultural, political, and spiritual discourse of Kazakhs. In a climate of authoritarianism and economic uncertainty, many people in this region turn to their forebearers for care, guidance, and advice, invoking them on a daily basis. This “living language” creates a powerful link to the past and a stable foundation for the present. Through Dubuisson’s participatory, observational, and lived experience among Kazakhs, we witness firsthand the public performances and private rituals that show how memory and identity are sustained through an oral tradition of invoking ancestors. This ancestral dialogue sustains a unifying worldview by mediating questions of faith and morality, providing role models, and offering a mechanism for socio-political critique, change, and meaning-making. Looking beyond studies of Islam or heritage alone, Dubuisson provides fresh insights into understanding the Kazakh worldview that will serve students, researchers, GMOs, and policymakers in the region. If you have any questions about this product by University of Pittsburgh Press, contact us by completing and submitting the form below. If you are looking for a specif part number, please include it with your message.